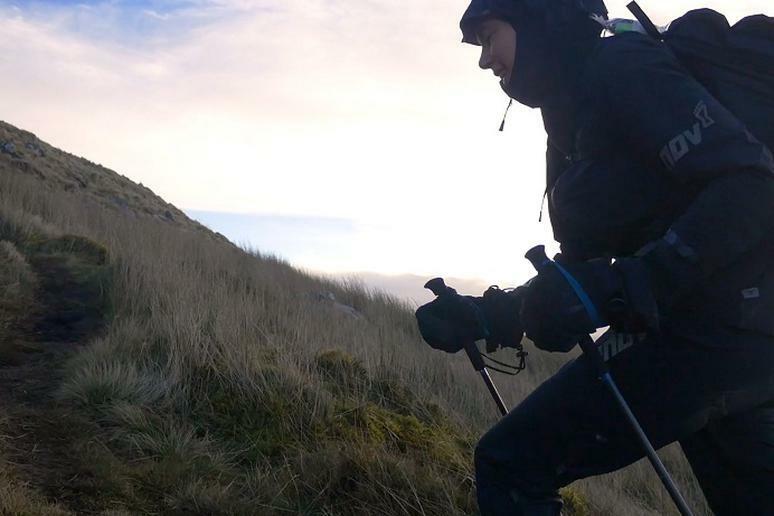 British ultramarathoner Jasmin Paris became the first woman to win the grueling 268-mile Montane Spine Race on January 16. But what’s that old joke about Ginger Rogers doing everything Fred Astaire did, only backwards, and in high heels? Like Rogers and her dancing, Paris added a new degree of difficulty to her accomplishment. She’s a breastfeeding mom to a 14-month-old daughter, Rowan, and she stopped numerous times along the way to express breast milk. What exactly is the Montane Spine Race? It runs from Derbyshire, England, to the Scottish border, along what’s known as the Pennine Way, a trail inspired by America’s famed Appalachian Trail. And the scenery might be lovely, but this is no walk in the park. Runners carry their own gear throughout the seven-day, non-stop race, which takes place in the worst of Britain’s winter weather. Competitors rest only when necessary. And Paris, 35, a small-animal veterinarian from Edinburgh, Scotland, is no superhero who sailed through the 83-hour event pain-free. Even though she is an accomplished runner with numerous records to her credit, the race was every bit as tough on her as it sounds. While she had pumped and frozen enough breast milk for Rowan before starting the race, she stopped at four of the race’s five checkpoints to express milk in order to avoid mastitis, the BBC reports. Even with the pumping breaks, Paris not only won the race, she set a new course record in the process, finishing 10 hours before the next runner. She also holds the women’s records for the U.K.’s three premier 24-hour mountain running challenges. Paris told the U.K. Guardian newspaper that the race was “completely different” from other races she’s run, in part because of the non-stop aspect and the tactical decisions each runner must make about when to sleep. Spending so much time away from her little girl was tough too, she said. The race helps raise money for Britain’s National Ankylosing Spondylitis Society, focusing on a form of inflammatory arthritis that primarily strikes the spine, and affects an estimated 200,000 people in the U.K. Paris's accomplishment is quite the inspiring feat. Perhaps next she'll take on another one of the world's most extreme races.